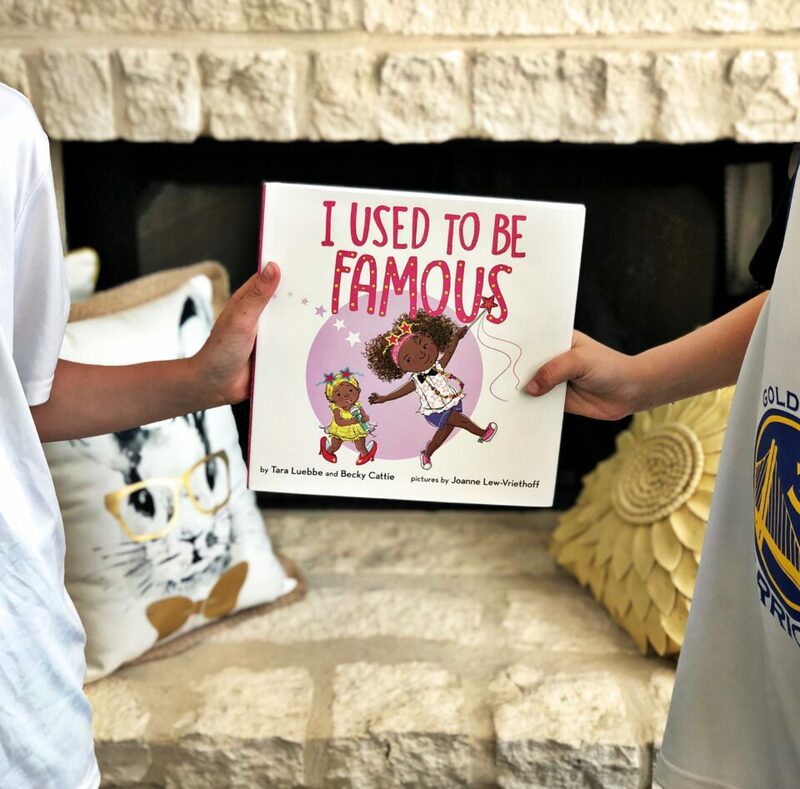 Thank you to Blue Slip Media for the free copy of I Used to Be Famous. All opinions are my own! Happy National Siblings Day! I don’t have a sibling, but I love watching the sibling relationship my two boys have. (Well, sometimes I don’t love watching them annoy each other on purpose, but that’s just part of it!) 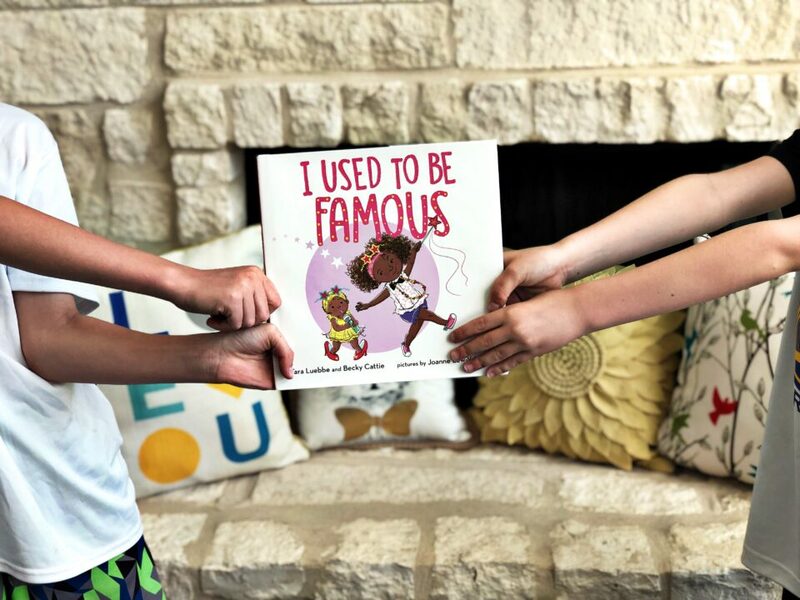 In honor of Siblings Day, Blue Slip Media sent me the sequel one of my favorite picture books, I Am Famous, about fabulous Kiely and her paparazzi family. In I Used to Be Famous, Kiely isn’t quite the paparazzi darling she once was due to the arrival of her baby sister, Abby. Kiely has to figure out how to share the spotlight instead of stealing it all for herself. This is such a sweet book, and it’s perfect for younger kids and new moms of two (or more)! It’s a fun way to show how there’s enough love and attention to go around for all siblings, and sharing the attention is ok. I hope Becky Cattie and Tara Luebbe have another one planned in this series! Thank you Barbara at Blue Slip Media for the LOST books and Valerie at Running Kids Press for the Jack & Max Stalwart book. All opinions are my (and my kids’!) own! Well, I haven’t done one of these posts in awhile! Life has been so busy, and while my kids have definitely been reading, they go through books at home and school too quickly for me to keep track of. But I finally nailed down a few they’ve been loving lately, and I wanted to share them with you! When my 2nd grader had his own Flat Stanley project to complete over Spring Break, he started reading as many Flat Stanley books as he could. (He even got mad when it looked like Stanley wasn’t quite flat in one of the pictures-“He’s supposed to be FLAT! Why isn’t he flat here?”) So when we visited the Alamo, I had to pick this one up! We don’t find a lot of kids’ books set in San Antonio, and this is a really fun one! 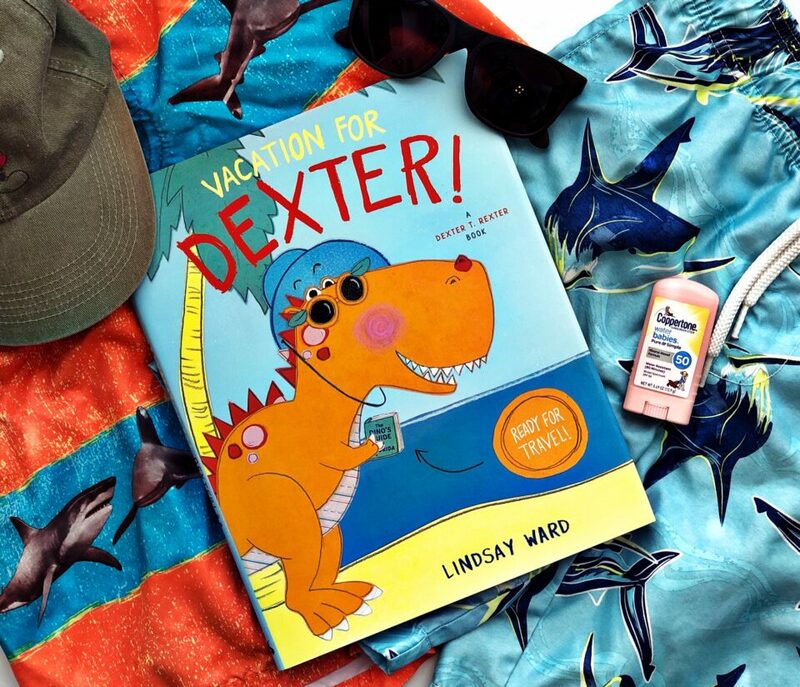 If you have an early reader or a kid who just loves Flat Stanley, this is another great book in the series. My 4th grader loves, loves, loves historical fiction and literary non-fiction. He’s already read all of the I Survived books, so when he started the LOST series by Tod Olson, he was immediately hooked. (When Blue Slip Media sent Lost in the Antarctic before it’s publication date, he grabbed it right out of the package, said I was so cool, and then I didn’t see the book again until he finished it. At least I can still impress my kids?) These books are so good for older readers. They’re extremely entertaining and informative. What kid doesn’t like learning more about history and the world in a way that doesn’t involve a textbook?! 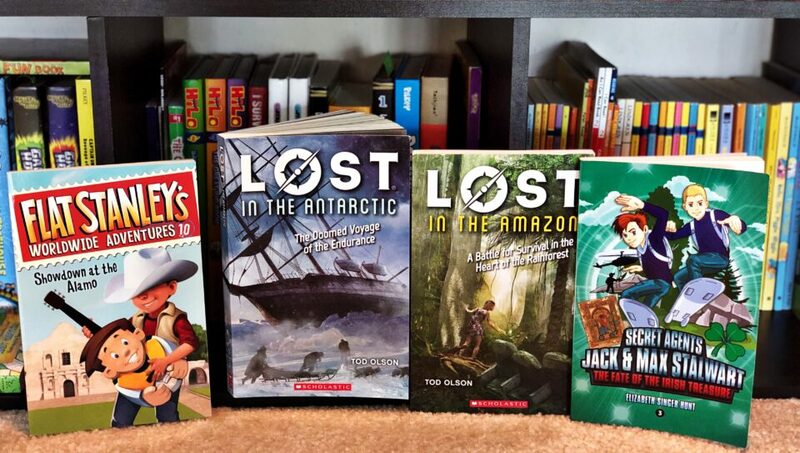 I highly recommend the LOST series for kids about 10 and up who like exciting adventure stories! Both of my kids love the Jack & Max Stalwart series, and this book is no different! (Can you sense a theme here of what my kids love? History, world information, adventure . . . ) Ireland is one of my favorite places, so I was really excited to see this book when it came out in March! Through the brothers going on perilous adventure, kids will learn about Dublin, The Book of Kells, Trinity College, and more about Ireland in this book. This is a brilliant series, especially for kids who have trouble focusing on slower books, and it’s great for a lot of ages!